We are delighted to present the fantastic CREME OF NATURE Kiwi & Citrus Ultra Moisturizing Shampoo for Dry, Brittle Hair 15.2oz/450ml. With so many on offer these days, it is good to have a brand you can trust. 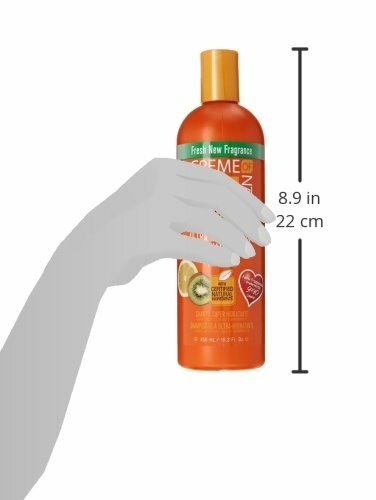 The CREME OF NATURE Kiwi & Citrus Ultra Moisturizing Shampoo for Dry, Brittle Hair 15.2oz/450ml is certainly that and will be a superb buy. For this price, the CREME OF NATURE Kiwi & Citrus Ultra Moisturizing Shampoo for Dry, Brittle Hair 15.2oz/450ml comes widely respected and is a regular choice with lots of people. Cream of Nature have added some excellent touches and this means great value. Creme of Nature Kiwi & Citrus Ultra Moisturizing Shampoo carefully cleanses, detangles and conditions while instilling dehydrated hair with wetness.